The Autumn Defense | Will You Miss Me When I'm Gone? 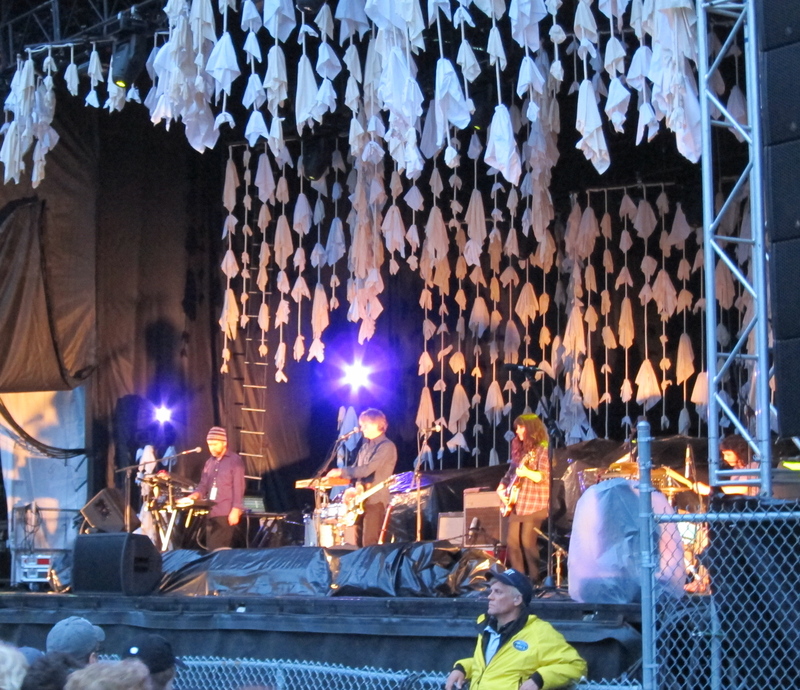 Wilco side project The Autumn Defensedidn’t let the threat of rain dampen their spirits. 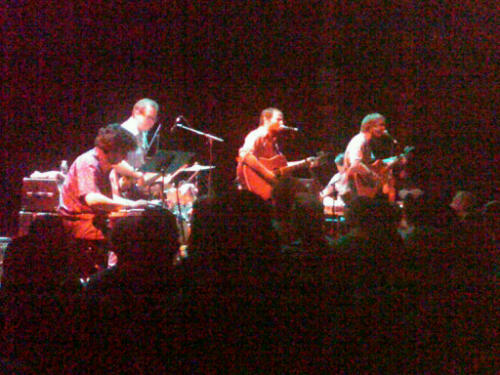 They moved inside to the Hunter Center at MASS MoCA and kept the crowd — which had to deal with lines to get in — happy with a great set. 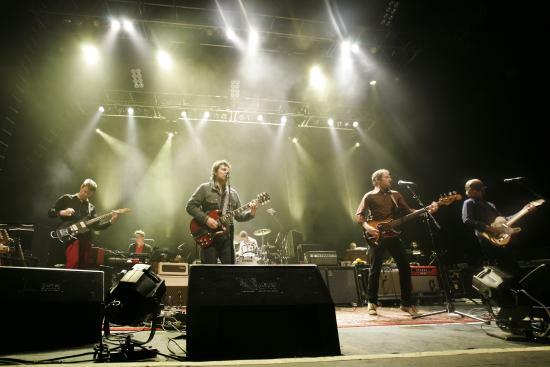 Adventurous Chicago-based band Wilco has announced it will curate and headline the new Solid Sound Festival, an independently promoted and ticketed festival of music, art and comedy for three days this summer — Aug. 13-15 — at the Massachusetts Museum of Contemporary Art (MASS MoCA) in North Adams, Mass. Early-bird tickets ($86.50 including fees and parking) will be available starting at 10 am ET tomorrow on the band’s web site. 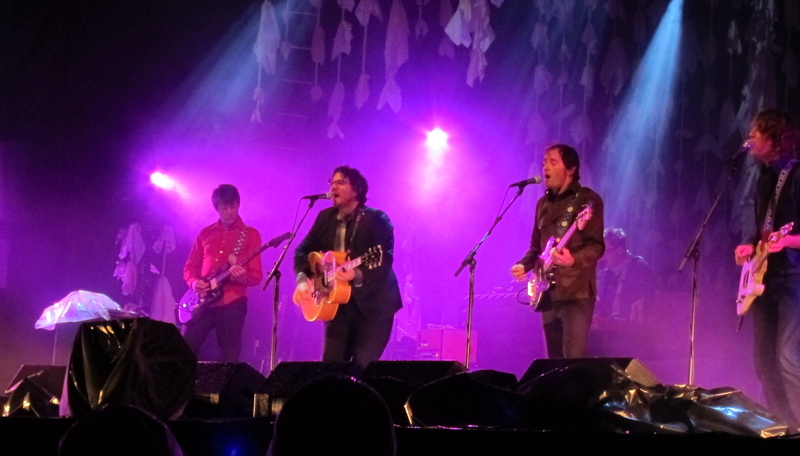 Jeff Tweedy, center, and Wilco. 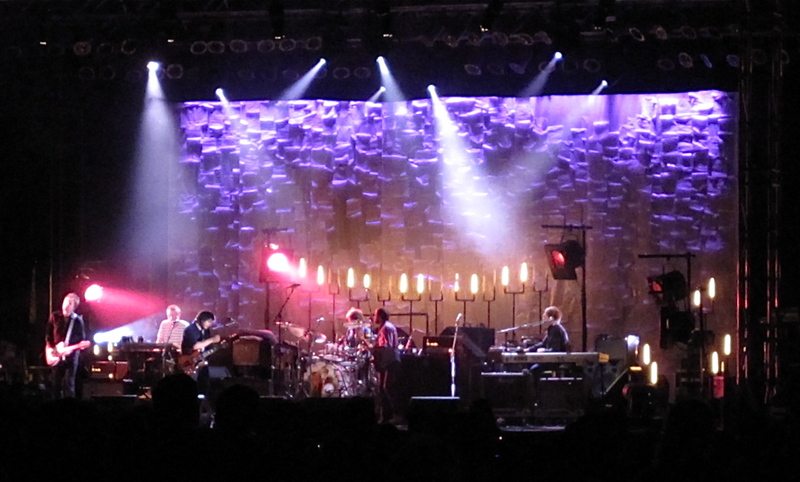 Wilco headlines the weekend, giving its only East Coast performance of the summer. 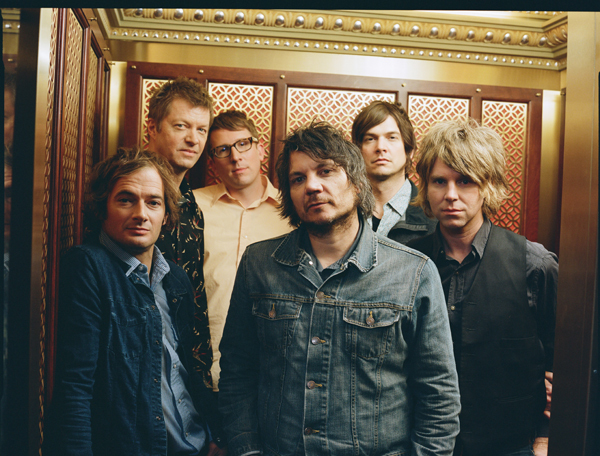 Wilco side projects, including Glenn Kotche‘s On Fillmore, The Nels Cline Singers, The Autumn Defense featuring John Stirratt and Pat Sansone and Mikael Jorgensen‘s Pronto. The Solid Sound Festival at MASS MoCA also will feature additional musical performances, a comedy stage, interactive installations and exhibits (including the Solid Sound Stompbox Station, an interactive guitar pedal exhibit created and demonstrated by Wilco guitarist Nels Cline, a concert-poster screening demonstration, planned workshops by luthiers and more), plus film, video installations and DJs. The area is beautiful, with plenty of outdoor activities nearby as well as cultural attractions in Williamstown to the west. 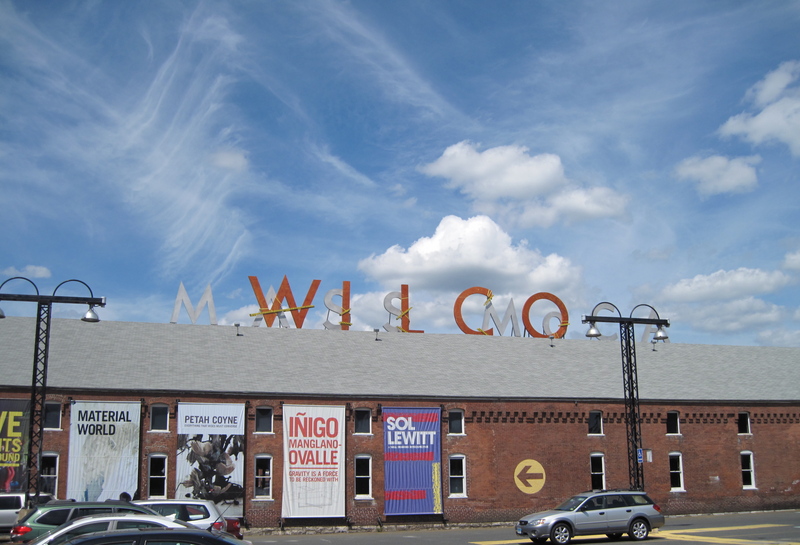 Ticketholders will have full access to the spectacular MASS MoCA campus, which offers 150,000 square feet of galleries. MASS MoCA, a renovated 19th century textile mill, is the largest center for contemporary visual and performing arts in the U.S. Art on display in the galleries during the festival includes the Sol LeWitt Retrospective, Inigo Manglano Ovalleʼs Gravity is a Force to be Reckoned with, Petah Coyneʼs Material World: Sculpture to Environment, Leonard Nimoyʼs Secret Selves and a new installation by Michael Oatman. Stay tuned to Will You Miss Me When I’m Gone? for more details as they become available. Buy your tickets now, because the price will rise to $99.50 after June 1.